Okay. Thank you. Welcome. To today's, aim center webinar it is Thursday. May 31st. If, you have come in early you'll see that there's a link here for downloading. The materials, for today's webinar both, a PowerPoint presentation, and. A digital handout, and I'll. Show this again in just a moment. We. Are closed captioning, this, webinar, if you don't see the closed caption appear along the bottom of your screen please click on the closed caption option, in the upper right corner of your zoom window you, should see a call-out that says closed caption, is, available, and then captions, will appear along, the bottom of your screen if you, need assistance with that please enter, that in the chat and. Leslie will assist you if you. Don't know how to use the chat and, if you're not sure if you want to contribute to the conversation today, please do please do early, and often through, the through the chat area you, can open the chat panel from the upper left corner of your zoom window and be, sure to, choose all panelists. And attendees. From. The drop-down window above the text entry field so. You'll see at the bottom of the the chat box you'll, see a prompt, type message, here, just, above that you should see a blue, oval. That gives, you a list of. Recipients. Of your of your message, choose. That drop-down and make sure that all panelists, and attendees, is selected. In that way everybody. Will see your message you won't just go to for example the panelists, and please. Tweet out if you are if, you're tweeting today please tweet out to hashtag aim, numeral. For all. Just. Another reminder here if you've just come in in the past minute or so there are materials, available. At the event page for today's for. Today's webinar, it's a bit Li a bit. Ly. /ae. M. Transition. 18. There's. Also a QR, code therefore those of you who maybe on your phone or a tablet and you can grab, that to grab that link through there there. Is both. The PowerPoint and their digital handout, as I've indicated, the digital handout, is very, very helpful the. PowerPoint, does. Not have all of the links and all the resources listed, the. Digital handout does so the digital handout, is basically, an accessible, Word. Document of, the entire PowerPoint, presentation. So it has links to all the resources in, the, context, of the slides and also, includes includes, a reference list so please, grab please, grab that the, PowerPoint, can be helpful because this is open source its, Creative, Commons so, if you want to use this this. Presentation this PowerPoint in your own professional development. Grab, the PowerPoint, and feel, free to adopt, it for for, your setting the. Webinar is being recorded and. The link will be available from, that same page sometime. Next week. So. 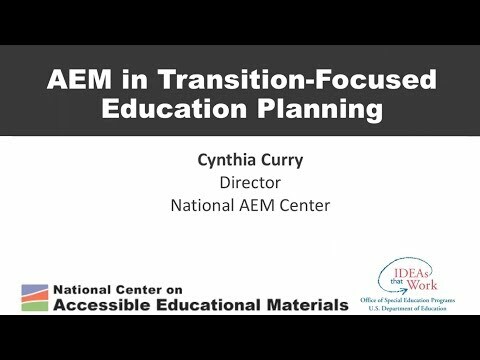 Today's, webinar is, aim and transition, focused, education, planning I'm, Cynthia curry I'm director, of the National, Center on accessible educational. Materials and, with. Me today is our captioner, Cindy. Cindy thank you for being here in providing the captions, and leslie, O'Callahan who's the aim Center Operations. Coordinator. And she is monitoring, the chat and we'll. Be there for for, assistance, during the presentation. One. Other comment. Is that that. As the as the presentation, goes along please, go ahead and, enter, your questions. And comments in the chat I will be pausing at, certain times during the presentation and asking Leslie if there are any questions I have, my eye on the chat as well but I may not catch. Everything, so we. Will pause at certain times during the presentation and there'll also be some, hopefully, some time for Q&A at. The end so. The. Idea behind this presentation, today this webinar is the idea that that. Kids are moving on from k12, and they're moving into post-secondary settings. And regardless. Of where they are headed, to from, k12 we, want to make sure that their learning continues. And that learning can take, many. Different direct. One. Of them is higher, education and, that's going to be the focus, today. You. May be wondering why the director of the aim Center is doing a presentation. On transition. But, it's near and dear to my heart because, I started, my career in education as, a middle school and a high, school science, teacher and just before. Joining, cast, in. The aim center I was the, coordinator of, disability services. At. A small private university, so. I've really had the benefit of seeing both both. The Sides of the transition, bridge both the process, of supporting students. In. In, my case middle, school in high school preparing. Them as a general educator, and then, also seeing. Students, as they as they enter post-secondary. During. That transition, from, high school and all of the all of the complications, and. Anxieties. That come with that so it's a pleasure for me to put transition, in the, context, of another passion of mine which is accessible, educational, materials. So. As we begin I'd like you to have in your mind. Some. Students. Or. A particular. Student, that, is going, through this big leap of course, it is, graduation, time here it is May 31st and some of your where. Some of your located, graduations, may already have happened. So. Maybe there's a particular, student, you have in. Mind today perhaps there's a group of students, perhaps. You're preparing for next year this is a fresh start so if in your setting transition, hasn't been a strong, focus perhaps, you can be thinking ahead to the students, who. Are coming up and of, course we need to start way, back before, students. Are on the verge of graduation and, begin, as early, as as. Preschool. 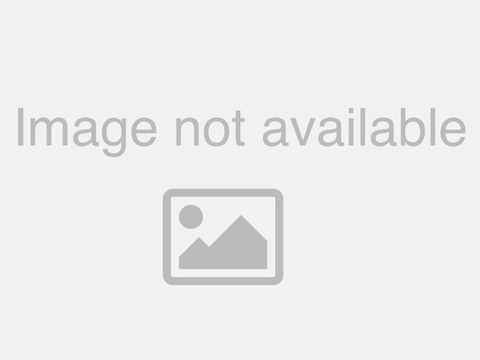 In terms of supporting, students in developing the independence, and the the. Self-reflection and, the self-advocacy that they're going to need once, they get to this point where they're taking this leap so, no matter where you are along, the continuum of supporting, kids as they are transitioning, even from grade to grade from school to school and then, the big T which. Is moving on to post in dairy settings be having. Happy. Having these faces in. Mind. For. The child I'd like to know what. Your role is in transition focus planning, as people, were coming, in and introducing, themselves I have a sense of. A. Few people who are here, but, if you would let me know two things one. Is know. From, your from, your perspective, the role that you have in supporting, transition. Planning, are you at pre-k are, you at elementary. School middle school high school or, post-secondary and. It. Doesn't matter you know what your role is you could be a parent you could be a teacher you could be an occupational, therapist, higher. Ed faculty it, disability services coordinator what, is your role and. At which level do you do you serve and of course there may be multiple perhaps, you serve multiple roles at multiple. Levels. So. If you go ahead and enter that in the chat. I'm. Going to, take. A look. So. We have a k-12, teacher of, the visually impaired. Middle. School and high school special, a transition, coordinator thank. You so much for being here and of, course you're all welcome to, and, I know that I know that there are a lot of shared passion. Here. In this webinar so, please feel free to enter your own thoughts into. The chat as we move along. Okay. Great well second or edge and faculty, VOC evaluator. Career. Center for eleventh and twelfth grade transition. To employment all. Grades, aim specialist for the state thank. You I recognize, Rachael assistive. Technology specialist, k12. All, right University of Maryland right a Baltimore. County. Maggie. Pick up the aim coordinator, in your district. Cedar Rapids for. An ATS specialist, special ed consultant. 80, specialist. Multiple. Disabilities at the middle and high school level. Post-secondary. Education, and as a needs Assessor, Assessor, pardon, me making recommendations, for 80 also. Trained post 16 educators, in the UK on inclusive strategies, great thank you for being here Kelly, everybody. Go. Ahead as we move along. And, add your own your, own thoughts from. Your own perspective in, addition to any questions, that you may have for me. All. Right this isn't director of special education in Oklahoma. Great. Thank. You, I mean. If you didn't have a chance you know please don't hesitate it's, never too late to add something in, the in the chat who you are where you're from in, this. Webinar we're going to be working backward, in, the transition, process so, we're gonna start. Where. We are looking to prepare students, to, go, to and, in this case first. Year in higher education. Then. We're going to move back to. The summary of performance and, then into, the IEP and, there's, a lot, of things that go on in, between you. Know as the trapeze moves from one to the other so, definitely. Not going to be a clean. Categorization. Of these three areas but just the idea that we're working backward, we're starting, at. That first year in higher ed what. Students need to be prepared, for and moving. Backward to what are what are the implications for that is we're preparing, kids. In k-12. Some. Of the topics the. Differences, between special, ed and k12 and, disability services in. Post-secondary, settings, and those, differences although, although, in this particular webinar we're focusing on higher education, rather. Than Workforce Development. Those, differences really apply regardless. Of the post-secondary setting, some. Examples, of how learners use accessible, educational, materials and accessible, technologies, to meet higher ed requirements, and some, strategies, for preparing, students for, for. This for, this leap into. Into. Adulthood couple. Of notes, swd. In this presentation, stands, for students with disabilities, and h, e stands. For higher education so I use those two. Abbreviations. In order to save some space in the PowerPoint, slides so let's first look at the current landscape for students with disabilities, in higher, ed in this. 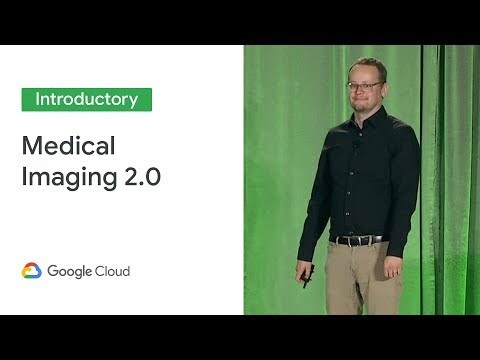 Webinar what, we're defining what I'm defining is higher. Destinations. Are two-year, community, colleges, four-year. Colleges, or universities and. Career. And Technical Education or, CTE programs. In. Some technical college, career. Tech Technical, College systems, so, just to have, a shared. Understanding of. The context, for this webinar in terms of transition, this. Is the this is the destination, that, I'll be speaking to it's the one that I'm most that. I am most knowledgeable, knowledgeable, about I know we have some workforce, development expertise. Here as well so feel, free to add. To this conversation from, your from your perspective. Through. The chat so. Some concerning statistics. As again. In the higher ed on the higher ed realm is that. In the, academic, year 2014. To 2015, the high school graduation, rate for all students, was, 83%. Whereas. For students with disabilities, that. Rate was 65%. This. Data is as. Recent as 2016. The most recent data that we have so. 83%, for all students, but only 65%. For, students with disabilities, a big. Gap obviously. For. Post-secondary outcomes. The. Previous, this is talking about students, graduating, from high school now. We're talking about post-secondary. Outcomes. Students. With disabilities, enroll in college at half the rate of their peers without disabilities and, they're graduating, at a lower rate of. Persons. With disabilities, 25, years old and greater. About. 25%. Of them have, an associate's, degree versus. 45, percent, of persons without disabilities. About. 17, percent have a bachelor's, degree versus. About 35, percent of persons, without, disabilities. So. We're looking at, tremendous. Gaps in. In, the. The. Ability to have equal. Access to employment. Competitive. Salaries, as as these students are are exiting, post-secondary. If. They do if they do graduate. 14. Percent have, bachelor's, degrees or higher versus 33. Of people. Without disabilities. There. Are some promising, statistics, however the. Rate of students with disabilities in post-secondary, has, almost doubled since 1995. And that may, coincide. Or correlate with the 1990. Reauthorization. Of the. Education. For all handicapped, children Act which became I DA in. 1990. It's, almost doubled in 1995. To 96, it was 6% and in, the 2011-2012. Academic year. It was a little, over 11% and, of, course there are other things that have been put, in place during that time of course RTI, response, to intervention, was, implemented. PBIS. Positive, behavioral, intervention. Support so there are some evidence-based. Research. Associated, strategies that, have also been put in place in that time so, we know we know that it's making a difference and. I found it interesting to. Breakdown the, percentages. Of where those students who are going on to post-secondary. Where. They're going so 44%. Are enrolling a two-year or Community, College's. 32%. In career. Technical education schools. And 19%. Of. Those students are enrolling, in four-year, schools. The. Promise, of transition, planning can't be denied so we saw some, some. Concerning statistics. Some, promising, statistics, and how can we build on that to ensure that those promising, statistics, continue. To build an out way the. Concerning is that we know that transition, planning, works, there's research that shows that it does so it's not something just instinctually, that, we can say well it makes sense to prepare students for life beyond high school when, it's done when it's done well it actually really does make a difference for. These kids so. Research has shown that for students with disabilities, who. Receive effective. Transition, planning services, in high school and, attend. Attend. Higher ed institutions, they're, more likely to self disclose their disability earlier. They. Have higher grade point averages, they earn credits, by their sophomore year which, is really important, a lot of times students with disabilities, or. Many students, in general will come in to higher ed and, they'll be short they'll. Be shortened on credits because they need to take remedial courses which. They don't earn credit for, the. Receiving disability specific supports. They're more likely to to. Do that to request and receive those supports, and interestingly. They're, also more likely to excess supports that are available to all students, most. Campuses, have a tutoring, service or they have a. Study, Center where there are tutors and people who have, supports. For certain classes, and, students. With disabilities who have had, transition, support are more, likely to access those as, well. As some. Of the peers and a lot of campuses, its, smartest, it's the most or, it's the most. Motivated. Students that are using the. Campus sometimes, it's called the academic. Success center, and. We need more students taking advantage, of those of those supports, and they need to be prepared, to do that. So. From your point of view and. You're you know in your setting, or in in general our students. Being effectively, prepared, for, post-secondary. Somewhat. Prepared or, not, prepared, at all and this, could be true for you either higher ed or moving on to workforce or. Whatever whatever. Plan is is been. Determined, to be jointly. With The student that has been most, you. Know most likely. Determined. To be a success, a successful, post. High school experience, for them are. They being effectively prepared somewhat prepared are not prepared, at all, for those settings. So. Somewhat. Somewhat. Alright. Depends, on the disability that's very interesting. You. Might say what for. What disability are, students, being most, most, successfully, prepared. It. Looks like it's mostly it's, mostly somewhat. Peer. Transition, vary tremendously depending, on the disability, alright. For visually impaired alright not not really very interesting, so keep those comments coming in. So. What are some of the factors that are contributing to the challenges, of the first year what's getting in the way of. Students. Being able to enter, and, complete, higher. Education. So, of course we know there are legislation. Differences. K-12, laws, differ, from post-secondary. So. In k-12 the, laws of the ID a the, individuals, with Disabilities, Education Act, and section, 504, of the rehab Act whereas, in post-secondary, the, laws that apply are the Americans with Disabilities, Act as. Amended in, 2008. Which there are some really important, implications, of, that 2000, amendment for post-secondary, which I'll speak to and section. 504 so, section 504, applies to both of course that's the anti-discrimination, law, of the land so, let's look at the IDE a versus, the ad a the. Ad a is the, nation's k12, special education, law covers. Kids from. Infancy through high, school graduation, or age 21, depending, on when they are exiting. IBA, requires, schools, to serve the educational needs of, eligible. Students with disabilities. Requires. Them to find and evaluate students. Suspected, of having disabilities. And of course at no cost to, families, also. Guarantees. The free appropriate public education. Fate. For. Students with disabilities, in the least restrictive environment so, faith and LRE an. Individual. Education. Program. Fall. Under, I da so, all of those supports, under, special education law under. I D a of. Course when students, move on to to. Post-secondary, ID, a no longer apply those supports, those, supports are no, longer provided, to them because. The ad a simply. Requires and this isn't simply but it's much less comprehensive. Than what students, are guaranteed. In, k-12. But. The ad a requires, higher institutions. To provide students with disabilities, with accommodations. That. Are necessary. To afford, the student with the disability an, equal. Opportunity, to participate in the institution's programs. And. There are two titles, that apply to a DA which is important to know is that both. Public, and private institutions. Fall, under the ADA a so, title two of covers state and local governments so that's their public universities, and community colleges, title. Three, covers. Public accommodations. So that's their private colleges, and, universities. So, anywhere your, students. Are going to higher ed they, are covered under ADA a the. Important, distinction between these, two laws is that in k-12, the, focus is on student, progress and success, whereas. As, students. Enter, higher. Ed and they are covered under ADA a it's. Just equal access, there's, no, focus, on ensuring, that students, are making progress, or. They or they're succeeding so, there are no supports, in place under, the ADA a for, things like tutoring. Intervention. Supports. You. Know life, skills supports, a DA's is purely. The. Role, of the of a disability services, personnel, to identify what, is the functional, limitation. That the student experiences. In, the learning setting and what is the accommodation, that can that. Can help address that. And, I see some comments coming in I'm going to just finish, this section and I'll take a look there's, also a shift in responsibility from. The team to the to, the student so, in k-12 there's, an adult team that's responsible for developing, a program that ensures student. Progress, or. Success. In. Post-secondary of, course the shift is toward, the student, then, the student is now responsible for requesting, and using accommodations for. Equal, access, so they're not requesting, supports, that will help them succeed, they. Are requesting. Supports. That will allow them to have equal access to the same curriculum and the same benefits, that. All students, have. Some. Of those responsibilities. That fall on them. Of. Course they need to voluntarily, self disclose their disability to, the disability. Support services, increasingly. On campuses, disability, support, or the office of support or the office for students with disabilities, is being, replaced by accessibility. So in some cases it's the office for accessibility. Or. Access. That. D word disability, increasingly. Is being replaced with the a word accessibility, so, students, need to be prepared to be looking for for. Either Title, they, need to request. Accommodations, upon. Self, disclosing, their disability, and they, need to be prepared to participate in, an interactive, process to, determine the. Reasonable accommodations, that they need which of course can be very intimidating to. Do, to. What, essentially are still, teenagers. Young adults they. Need to be, able to provide documentation, of their disability and. They, need to meet with the with a personnel to discuss their request for accommodations, and their, associated, documentation. So they need to be able to have a, knowledgeable. Discussion, about. Their what their history of accommodations, has been why. Those accommodations were, needed very helpful if they have if they're well versed in their documentation, so that they can speak to those accommodations, and why, they were why. They were important. So, this. Is part of the the student responsibility. In, higher ed. And of course parents, are part of this as well, but, it's going to be most successful when, students can speak for themselves nobody, should replace, the student voice in this process the. Parent role or the Guardian role really should be one, of support, and helping, the student to prepare for these conversations, and for this process. Some. Of the barriers that our research-based that, students experience so these are real barriers they're. Not just suspected, barriers but all of them really make sense some. Things that get in the way of students seeking and, using, accommodations, because getting, the accommodation, is just, the first step using them is the second step so. Let's, elf advocacy, skills the, belief that services, aren't needed I've graduated, from high school so, I've conquered I've, conquered learning, I no longer need them so. There's lack of understanding that, that, these accommodations are. In. Place for for. A reason their. Desire for self sufficiency that is linked to that the. Desire to avoid negative social reactions. Which in some settings, in some institutions. It's difficult, for. Students. To keep their accommodations. Private, depending. On how the accommodations. Are provided. Insufficient. Knowledge about the services, that are available on campus fear. Of future ramifications so. Some students are they're fearful that if they use their accommodations, that there will be some kind of a flag on their, transcript, and they need to know that that's not true the. Quality and usefulness of the Disability Services office, and. The accommodations, that firt they're provided, and of course that is that's. A very, detrimental situation. When, a student who needs accommodations, isn't. Effectively, provided, with them and then, of course negative experiences. With faculty that too is is real and we need to make sure that students are prepared to manage. That. So. I'm going to take a moment and just look at some of the questions that have come in. And. The. Comments, just really briefly. Over, the opinion that most of the students, fail. To understand that the students shouldn't must play an active role in transition. Absolutely. When we get to the recommendations. That will certainly be highlighted. Talking. About the role. Of the TVI carrying, the message that the student must know that their IP ends at high school graduation, most the team sister on the table and looks at other participants. As. Though somebody else's responsibility. Very. Unfortunate. Janet. This. Is excellent, why we why, the need for students to access general, it supports, displays. Services, as, access. But other services, are for help to. Succeed. Alright, welcome, from Chile and, then cultivating. Purposeful, and motivated, learners is essential, and should be reinforced, by teachers, as a learning. Goal I love that that it's something that's explicit, and is a learning goal it's. Not a soft skill this, is something that students are essential, to their success, so. Let's, move into the role of accessible, materials and technologies, so the first part is just the argument, why transition, services. Are so are so important, I. Know, many of you know this but hopefully this. Presentation gives you some some, more resources in order to take back to your schools to make these arguments, what. Is the role of accessible, materials and technologies, and all of this because. When students use aim. And the accessible, technologies, in. K-12 they're. Gonna continue to need them, so. There's a functional, definition of accessible, that's really, helpful to. Use as a framework when. Making. The argument, that students need accessible, educational, materials so this comes from the US, Department of Education office, for civil rights, and. An. Accessible. Means that a. Individual. Person with a disability is. Afforded. The. Same opportunity. Or is important, as is afforded. The opportunity to. Acquire the same information. Engage in the same interactions and. Enjoy, the same services as. A person. Without a disability in, an, equally, effective equally, integrated, manner. With. Substantially. Equivalent ease of, use as, a person, without a disability, so. This, definition, comes from 2013. I'm, sure it. Appeared in. Other, in. Other documentation. Before that but it's, um it's, in a resolution, agreement with South Carolina Technical, College, System this. Is one of the ways that the office. For civil rights communicates. To. Mostly. In higher ed institutions, although we do know that there's increasingly, some complaints, being lodged against, k-12. Schools particularly, their. Website. Not. Being in compliance with web accessibility, but. This definition, is really important, it gives you a framework this is the bar for. Accessibility. And the. Office for civil rights goes you know goes on to say that that, this might not result in identical. Ease of use but, whatever the technology the material, that is that is chosen for a student with a disability must. Ensure equal opportunity. Also. Says to the educational, benefits and opportunities afforded by. The technology and equal. Treatment in the use of such technology, so. This is it's a it's a high bar something. Accessible, doesn't, necessarily, need to be the same as, this. As material, technology, used by other students, but, it needs to be equally. Effective equally. Integrated and the, student needs to be able to use it with substantially. The same ease of use as. The material technology, that other students, are using so. It needs to be seamless. Because, it make sure your comments are shared with everyone oh thank, you Cassie so a comment just came in some people may have come in a little bit late to the webinar. Unfortunately. A little glitch in zoom, is. When, you are entering, a message. Into the chat the, chat area you. Need to make sure the blue box just above where you enter where you type your message, there's. A drop down on that blue on that blue box please, make sure that you are choosing, all panelists. And attendees. So. If you came in late it's, not too late to to, choose that Thank You Cassidy for bringing bringing, that up I'll. Continue to to read the comments as, well as. I have the opportunity. So. How. Does this relate to materials, and technologies. It's. Really important to understand, the distinction between a, material. And a technology, in addition, to what accessible, means because, in order for students to have full access, both. Need to be accessible, so the, technical. Aspect, of this is really critical, a material. Is the information, or the content, that delivers, the information to. The, student so it's the e-book, it's the website, it's, the simulation. It's really it's the content, of the curriculum and it's. Accessible, when it's designed or enhanced in a way that makes, it usable by the widest, possible range of learner variability. Regardless. Of of the format so whether, it's in print digital graphical. 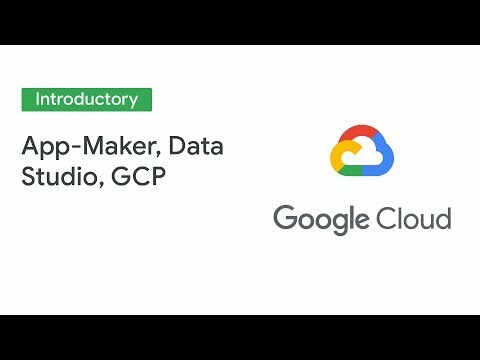 Audio, video all, of that can be made can, be made accessible, for. Students with disabilities, and of course I think most people here know, that there are some significant, considerations. That need to be made, in the design of, the material, from the start to, avoid retrofitting. But, all of those can, be made accessible, and. In. A technology. Is the hardware or the software that. Delivers that content, delivers the material, so. Things, like tablets. Learning. Management systems, computers. Smartphones so. That's the technologies, the delivery system of the material, it's. Accessible, when it's usable, by people with a wide range of abilities and disabilities and. It's, also accessible when it's directly usable without assistive, technology, or usable. With it so even. If a technology. Isn't. Inherently accessible first student for example with with, blindness or low vision perhaps that student uses. A refreshable, Braille display if, the, technology is, compatible. With, that for so for example purposes the Bluetooth refreshable, Braille display if, that, technology is. Bluetooth, enabled then. The technology is accessible because it does allow the use of assistive technology with it. Yes, sounds like the definition of universal design, lot. Of crossover. Here's. An example this. Is what I call material technology. And accessible, harmony, there's, a figure here of an individual, of reading an e-book on a tablet, and there's. Harmony. Accessible, harmony going on there when the accessible, ebook when. The e-book is accessible, the, tablet, is accessible, and some, examples, that make that tablet accessible, is that has some built-in options for access such as a screen reader for students, who are blind or have low vision. Text-to-speech. That's, very useful to students with learning disabilities ADHD. Display. Customization. So it can be black on white white on black that there can be more white, space, added. Some other other. Color contrasts. Are options. It's. Bluetooth enabled like, the example I just gave with a refreshable Braille display closed. Captions, can be turned on as, well as video description, and that. Tablet is also compatible. With students assistive technology, which I'll have another example. Of that in just a moment and of, course speaking, of universal, design. All. Of this is useful for, all students, so when when. A technology, and a material, are made to, be accessible, just, opens up opportunities, options, choices. For for, all users of, that material. Technology. Combination. Just. Mention alt text yes so if the if the material. Supports, alt text those, images, can be can. Be deciphered. By a screen reader screen reader users will know what that what. That image. Is is trying to convey. So. Here's, that interoperability. That technology. Is. A demonstration. Of how that, tablet, can be made compatible. With. An assistive, technology device. So. In this case this is known as access. It's. The access for kids switch it is, through Georgia, Tech. And. I have a little bit more information about, it, here in the, digital handout, there's a link to this video that you can watch it's very it's very brief I think you see it's under it's, under a minute long. But it's a great example of, how tablet. Is made, interoperable. Making, the technology and the material accessible so for this to work for this 18 to operate, the. Material, on that tablet, needs to be accessible and the tablet needs to be interoperable. With. The assistive technology that the student is using so. The student is sitting at. A table and she. Has what's known as a pressure switch it's. Three Consecutive switches. On her forearm, and it's. Connected, wirelessly to, a tablet. And it's, a pressure switch so. For. In a situation, where a student doesn't have the fine motor skills, to, swipe, to. Pinch. To. Do your various, gestures, they. Can use. Any voluntary. Movement, and, activate. Their. Tablet. Using this pressure switch so, in this image the student is using her, fist but, a student could use they. Could use an elbow they, could use a foot like, this switch, could be, prompted. Be placed, on a. Wheelchair. And it could be activated with head movements, so. This is an example another example of in, this case material, technology, assistive, technology, harmony. So. We know that this access is possible, that learning materials, and technologies, can be available to all students. To. Have to have the same opportunities. For learning. Some. Of the emulated, post-secondary, accommodations. Because all of this carries over to, to. Post-secondary. Alternative. Formats of printed textbooks and inaccessible. Digital, materials, that's a common, accommodation. In higher ed it's also known as, the. Alternative, format. Accommodation. Use. Of assistive technology. Extended. Time on exams very. Common, note-taking. Services, are also common, audio recording, of lectures, so, these are just some of the standard, very common accommodations. In, post-secondary, the. Availability of them doesn't necessarily mean, that a student, who is coming. From k-12, having had an IEP or a 504 plan, will. Be. Provided. With these accommodations or, those accommodations will, be approved for them but, they are very common, and teachers. And students parents, need to know. That students have, this opportunity to, continue with the with the accommodations, that they need. Oftentimes. I think adults make the mistake of taking the accommodations. Away from students thinking that it's going to interfere with their learning that they're not going to be able to they're. Not gonna have access to these accommodations when, they go into post-secondary. But. Under the Americans with Disabilities, Act they absolutely are covered as. Long as they, are prepared, to have. The documentation, and be able to articulate, why they need these accommodations. Which. We are working our way to. Some strategies, to make sure that happens, some. Of the accessibility, tools, that. Increased student independence, in higher ed these, are some things that students can start using in. K-12 because, they can easily transition. With them into higher ed many, cases, minimizing. Or. Taking. Away the need for the student have an accommodation in. Certain you know for certain purposes, if they have, these have, these tools available to, them and they're, proficient in them by, the time they get into into. College or any higher ed setting so. Accessible digital versions of textbooks, and course materials, at commercial, sources, so. When I was a Disability Services Coordinator I absolutely. Encourage students, go to Amazon, see if your textbook is there in a format that you need audible. Human. You're human narrated. Books vital. Source. I encourage, transition, teams to look up some, of these commercial. Sources of books see, what's there to make sure that you convince yourself and students that they do have quite a variety of higher ed textbooks, available. There and also the college bookstore will have digital, digital, versions, of textbooks, not, all of them are going to be accessible to all students, it. Depends, on what the students needs are and if these if these, the. E-book reader has, the supports that the student needs but. In my, experience, a lot of the books that are available commercially, digital. Books that are available commercially do, have the the built-in supports, that a lot of students need so it's worth exploring before. Students move on to higher ed and of, course their membership, services, for Bookshare, and Learning Ally, those, are also. In, higher ed Bookshare. Is a free service of, students, leave, leave. High school with their individual, membership, they're, set to go when they get into college to, use that independently, Learning, Ally is a fee based for human narrated audio books they, do have a lot of post-secondary books, as this book share but. Learning Ally there is a fee and. Not all higher, ed stitute will, have memberships, to Learning Ally but, individual, students, can. Text-to-speech. Of course if students are proficient, in using text-to-speech you. Know knowing how to turn that on in various devices, in. Various materials they, can find their way to where the text-to-speech can be activated, all the better optical. Character recognition apps, which are. Apps on a smartphone or a tablet where, students can take a picture of a, standard. Print material, converts. It into digital text, with a text-to-speech reader. Audio. Recording, apps smart, pens note-taking. Apps all, of these are available to students to start learning, how to use independently. There, is a cost associated with, them if they're going to bring them bring these tools with them into higher ed but. Of course in many cases, very. Much worth it. So. Where does where, does accessible, materials, and technologies, where do they fall in the transition. Process and I'm. Just going to take a gander over here at the chat. To. See what may have come in because I'm doing pretty well on time. Alright, thank you okay yeah so Leslie's been busy putting links into the chat Thank You Leslie and also remember if you came in late there's a digital handout, for this webinar that I highly recommend that you download has, links. To all the resources and, a reference list within. The context, of each of the slides. Kathy. Requesting, captioning, for videos learn, learning to read transcripts, carte typewell excellent, examples, of accommodations. Justin. Uses the Bookshare web reader. Excellent. And of course that is you know having Bookshare, is a free membership for folks who aren't who, are familiar with Bookshare by chance Bookshare. Is At bookshare.org. And some. It's a membership. Students. Need to qualify, for four. Sources of materials, that are in Bookshare, but. Really. Worthwhile looking into it for students who have learning disabilities physical. Disabilities a, blindness. And low vision if, your teams aren't aren't, familiar with or considering, Bookshare for students, please. Be sure that you that, you investigate, that and you. Can also always, contact, the aim Center for for support so. Where does aim happen, in the transition, planning process so, before, talking about that let's just get a handle on, transition. Itself, as a as, a planning, process so. Here's. A timeline of the transition, requirements. As they unrolled. In ID, a so. Of course ID a was, the. Education. For all handicapped, children Act when it was introduced in 1975. In. 1990. When. The, title change to the individuals, with Disabilities, Education Act, when that replaced, the EI EI, HC. A, transition. Plan and was required for students with disabilities, beginning. At age 16, in. 1997. The. Transition, planning requirement. Was. Expected, to begin at the age of 14, with, a statement regarding course, of study and. At. Or before age 16, with a statement regarding the needed services including. Outside agencies, and then, in 2004. The requirement, of the summary of performance was, added, so. You can see over time you. Know the idea has not been reauthorized since. 2004. Which I don't need to tell tell, anybody here but, that is you know be, interesting, when. We know the idea will be reauthorized, again what, it will be the addition of what have we learned about the importance of transition, that will build on. The incremental, emphasis, of the of the. Transition. Planning being part of the IEP process. The. Basic definition. Of, transition. Planning as it, stated in I da so this is really the floor of transition. Planning is that, it's a coordinated set of activities for, a child with a disability. It's results-oriented. It's. Based on individual, needs taking, into account strains, preferences, and interests of that student, and it. Includes instruction, related services, community, experiences. Employment, etc anything, that's going to be relevant. For the. Setting in which the student is being prepared, to enter. After, high school so. That's the ID a definition, but it's really like I said it's, the floor, if. We really want to think about, the. About transition. Being a robust, process. We'll, look at the definition, as it as it is laid out under. The term transition. Focused. Education, and this, is from Koehler and field it's a 2003. Article. And you'll find it in the digital handout, and. I wouldn't be surprised if, if. Leslie was putting it I think it's a citation, I don't know I don't think there's a link to this one in the digital handout I've links where you'll. Be taken to the Articles that are available online some, cases you'll have to get them through through. A library database. Really. Worthwhile to, read this article in. This, in, this definition, fund. Transition. Planning is a fundamental. Basis of education it, guides the development of all educational, programs including, strategies, that keep students, in school so, it's a retention, strategy, it's, not an add-on activity. For students with disabilities, it's not something that happens. You. Know on the side or even parallel. It's actually. Embedded. In, their in their programming, and it's, based on abilities, options. And self-determination. Which, is a little bit different than the floor, definition. Of transition. And a. Quote that I pulled from the article is that transition. Focused, education, is a shift from disability, focused deficit. Driven programs to an education, and service delivery approach, based. On abilities, options. And self-determination. So much more robust. Interpretation. Of the transition, planning process. Some. Resources, to support this, again. Are, provided. In the in the digital handout if you want to go directly to it of course there's. Always Google, but. If use the digital handout, you'll be will be a little bit more a, little. Bit more. Efficient. But. This the. Transition, focused education, this, is the taxonomy for transition. Programming. 2.0. And. It. Was written this is from again. The author of the article, transition, focused education, that I just referred to in the previous slide with. Some other co-authors. It's. A group of you, know academics. But with some research that has, gone on within. K-12, schools this. Is an image of the taxonomy for transition, programming, it is, a it's. A cycle. Diagram. Is sort of a flowchart of, a circle with, each of the components. Of the, focus. That the transition, focused education, programming. Placed. At various, locations. Along this circle so, these include student. Focus planning is one of the components, student. Development, so that would include things like student, supports. Interagency. Collaboration. Which we know very. Commonly, lacks in, transition, planning, family. Engagement. So, things like the cultural relevance, for. For families is really important. Families. Understanding. Transition, as empowerment. That. They have a role that their children, have a role in, this and. Program structure of course includes things like the school climate, which. We, don't always, realize. How impactful, the climate is and of, course all of these is the role of the of the student and the student being, empowered the student having some self direction and some choice in. The, whole transition, to. The transition process. The. Summary of performance, and the IEP, remembering, that we're going backward, that the summary performance, is part of the transition, planning process and, when. You look back at the definition, for. For. The summary performance, and. Transition. Of course. There's there's, a distinction with, a summary of performance because, it needs to be completed, during the, final year of high school but. The summary performance, can be started. Way, before that so the summary of performance should be something, that the that. The transition, team has. Has. In mind, along. The IEP, process so, even though it doesn't need to be completed. Until. The final year of high school that, doesn't mean that it gets started at the students final IEP meeting, before they exit high school so. The summary performance. The. Way is to find if it's if this is your the, first time knowing about the summary of performance also, known you often hear of it, referred to just as sop it's, for a child whose eligibility. And their special ed terminates, due to graduation, with a regular diploma or due. To exceeding the age of eligibility 21. The. Local Education Agency shall, provide the child with a summary of the child's academic achievement. Functional. Performance we, shall include recommendations. On how to assist the child in meeting the child's post-secondary, goals, and. There are some supports, for this, so. There's a nationally, endorsed summary. Performance, template. Again. That is available through the the digital handout this, was. Developed. As a collaboration, among, multiple. Experts. Again many of them are in academics, but. Many of them many, of the organizations, that worked on this on this template. Also, represent. And, are from k-12, environments, as well as those who are familiar with the environments, in which students are going to be entering upon. Exiting high school so, some of the organizations, that were involved in this template, the, Association, on higher education and, disability the. Council for Exceptional Children the National Center on learning disabilities and. The, higher education, consortium for, special education, so, those are just a few wanted. To give you an idea of the the credibility of this of this template and why. It's worth, seeking. Out and bring. It back to, your, to, your teams and taking. A Look at it if you're not already using, a, summary performance for students which I know many many, many, schools are not start. With this one if you haven't already if, you already have a summary performance, template that, you're using, check, out the nationally endorsed, and see if there are some ways that you can strengthen the template, that you're currently using. The sections of the of the template, there. Are five of them there's. A background section. Post-secondary. Goals the, summary of performance. Recommendations. And student input so. We're thinking about where it is accessible education materials, and, technologies, fit. Look. At the some of the sections three four and five summary, performance, recommendations. And student. Input these, are the three places that have the most relevance, for, including. Students. Needs for for. Accessible materials and technologies, so. Here is I know it's hard to see so go download that that. Template so you can take a closer look but. This is the summary performance, for the academic, area in. That first column there are. Content. Areas of reading math, written. Language learning. Skills. Then. There's the second column is to report present 11 level of performance, and then, the third column are, the essential, accommodations. The. Assistive technology modifications. That, would be that have been used in high school and why they're needed so. When, it comes time to, consider the. Role of accessible, materials and technologies, some, things that you might think about including, in that essential, accommodations, column would be things like use of text-to-speech, tools, speech. Recognition, the. Need for books provided in specialized formats, accessible, formats of classroom materials, audio. Recording, of class lectures, use of digital. Study. Skills tools so. Make, sure that anything that the student is using for academic, access, and success, in k-12 because, in k-12 success. Does. Fall under ID a in the, ad a in higher ed success does not so. Everything needs to be placed in the context, of need why does the student need. These as they move on into into, higher ed, for. Equal access section. 4 is recommendations. On. Here, suggestions, for accommodations. Adaptive devices assistive, services etc. There. Are four. Rows there's, a higher education, or. Career technical education employment. Independent. Living community. Participation. In, this. Area, be as specific as possible about. The accessible materials and technologies, those. Accommodations, that the, student will need based. On what, in what setting are they you know are they moving on to and the. What, think, about the individuals, that are going to be receiving this summary performance what do they need to know about the students need, for in, related, accommodations, in. Any number of settings. Then. Of course there's the student input this, is so important, the student input section of the summary of performance, um. This. Gives gift this gives the student opportunity, to speak for themselves really, great practice for. Them To prepare themselves to fir having, a you know having a verbal conversation. With the person receiving, the summary performance, so. The. Prompt tears in the past what supports, have been tried. By teachers, or by you to, help you succeed in schools such as aids adaptive, equipment physical. Accommodations other, services, and then, which of these accommodations, and supports has worked best for you so. That's. The role for of, course the student has a role in all of these sections this. Is their you know this is where the. But. They really need to make sure that they have, their, their. Reasons for their, need for aim and accessible technologies, and assistive technologies. Gives. Them opportunity, to lay that out in a coherent comprehensive narrative. That, they can then apply when they are having you know verbal conversations, in person, to advocate for themselves. Another. Resource for the summary performance, that pulls all of this together is the ohio packet, it, has a it has ohio summary, of performance form, has, guidance, for completing the form has, a sample, cover letter and some resources and that, sample cover letter is really. A gem it, has. It's, a cover letter for the student to to, prepare, to, accompany the summary of performance so. It, has sections, for the student to talk about their their, background information the, information, on the diagnosis, of their disability, the services, supports, that they've received from agencies, outside, of their school their. Post-secondary, goals that, are wide ranging, summary. Of their high school academic achievement. Functional. Performance their central accommodations. Modifications and. Assistive. Technologies, that have used in high school. Recommendations. From high school professionals. Based. On the regarding. The supports, and accommodations that. May enhance my access, this, post school settings and my, perceptions, of my disability, what works best for me and accommodations. That may be addressed in post school settings so. That sample, cover letter really, is. A. Great, benefit. Of of. This packet, in and of itself there's nothing else that you grab from. This packet that simple cover letter can be really powerful. Where. Aim. Falls, in the IEP. Of, course as you, can imagine we're close to the end of time so I didn't even go down the road of talking about the IEP I'm, going, to let I've chosen to let joy zabala, and Diana Carl do that for me they just gave a webinar on, this topic on May 1st and the recording, and the associated, materials are available in. The digital handout, I'm. Not sure whether, Leslie's, grabbing that or not but it's in the digital it's in the digital handout, they. Talk about where do accessible, materials and technologies, fit in, the IEP, keeping. In mind when you're watching that webinar what, are the implications for, the transition, plan what, is it you know is there thinking about where where these pieces go in the IEP, in. The. Context of the of the goals of the student and their objectives, how does this relate to their post their, post high school. Experiences. So. Some final, recommendations. Set. High expectations. And provide, accessible materials, to reach them so. In many cases we do put high expectations, on students, but then we don't give them the supports, to succeed, and they, fail so they need to have the supports, to reach those high expectations, they need both so. Ensure IP goals are aligned with the challenging academic, content standards. Aligned. To the grade that the student is in and just, a couple of research findings here students with disabilities, who took rigorous, high school academic courses were more likely to enroll in college earned. More college credits had higher college GPAs, were more likely to earn a bachelor's degree and, those. Students, who students with disabilities who took more general ed classes, more likely to be actively, involved in their transition, planning, that, cited Newman in all 2016. That's. In the digital handout, so, do that and provide students with the, aim and accessible, technologies, they need to reach those high expectations. Give. Students a record of their aim use, many. Institutions, don't accept. An IEP as, a form of documentation in. The 2008. Amendments. To the. To. The ATA there, is some language that ip's. Should, be considered as documentation, for higher ed but we're still many institutions. Are in transition, on that so, make the students need for aim, explicit. In the IEP, and in the summary of performance. Because. We want to make sure that students have that you'll have that as additional, additional. Documentation. Explain. Documentation. To students make sure that they know about their their scores and the impact, of their. You know the functional impact of their, disability on, their, performance, so whether it's a neuropsych, or cycle educational evaluation, whether it's doctors records, whatever. It is that a student is going to need accommodations. For whatever is the evidence for that make sure that they understand, it provide. Lots of opportunities, to use accessible, materials, so, when they get to higher ed they're, going to have a lot of different materials, coming at them a lot of different technologies, and the better they are prepared, to cope. With those you know with the various materials, and technologies, they're going to be asked. To use the, better. Prepared they are in in, k-12 the. More likely they are to succeed so, give them opportunities, to use accessible materials, and technologies, across purposes, content, areas, environments. And. Various, technologies, and various materials. Of. Course give them an active, role name related decisions, so make sure that they have an opportunity to try various formats, and various features let. Them take some risks, don't. Penalize them if they're trying a new format and only to realize gosh that I wasn't able to learn that through that format but I tried. Make sure they have input on their goals their services. Make. Sure they're empowered, to, self evaluate and communicate, effectively so. Ver time they need to be able to say is this working for me, or is it not they need to be able to do that k-12 because, I wish, support, because, when they get into higher ed they're going to need to do that independently and of, course actively contribute, to the transition, plans, teach. Self-determination. It needs to be explicit, regardless, of whether a student is in preschool or. Just. About to graduate from high school there are there. Are explicit strategies. Along the way to make sure that they are growing, and. That they are actively. Able. To demonstrate how they can show. Their self-determination. Foster. Family engagement. Parents. Need to be prepared, as prepared, as their children, are in. Order to make sure that they're supporting, them appropriately. Both to be active. Actively. Supportive, and also to know when. They need to back off and why they need to back off and let let they're let, their child. Really. Really, steer this process. So. In conclusion I, just grabbed this this, quote, from Koehler and field transition. To adult roles is a complex process all youths must must negotiate and. That a myriad of factors work together to influence students, lives after school, completion so. In other words it's really complex, but so important, so rewarding when it's done right, here's. My contact information. See curry at Cass org, and. I'm. Going to take a look at the some, comments, that have come in in the chat and I'm sure we're pretty close we are at 3 o'clock so I will, take some, some. Some. Questions and comments that have come up in the in. The chat if you need to leave there, is the link to the, survey, on. Your, on your screen and I think that, Leslie. Has also dropped, that in the chat. So. I'm. Gonna take. A look for anybody who wants to, stay. For a few minutes I'm gonna take a look at the. Some. Of the comments that have come up in the chat you. Pick Up where I left off. All. Right Debbie said the link doesn't work, to. The okay it looks like Debbie looks if you're still here it looks like you're just missing an L at. The end of that at the end of that link yeah I responded. To it oh great thank you you know what I'll just skip over those. Steve. Beckner we, use the taxonomy, with our regular, transition, teams for planning their activities, of the annual Oklahoma, transition, Institute, that's great to know it's. Always good when sharing. Resources to, know that others, have had success, with them. All right see Beckner also adds agree strongly that the summary performance, can be an ongoing living, document, addressed at the annual IEP meeting, throughout. High school students, often have different teachers or case managers, throughout high school so. The senior year teacher may not be aware of many of the transition, related activities, the, student may have participated, in and this is such a great point that the, documentation, needs to go with the student, and if if. The professionals, are doing are, doing a good job at the at the elementary at the middle level as the student transitions, to high school and then on to college you can see how, the documentation. As. It travels with the student really informs, the, reason you're the receiver of that student, as they know as they cross these bridges across the, you. Know the lowercase T's, the, small T's and the big T well, where they leave us they leave, the protection of eye-dea and they, move on to the protection, of the a da. All. Right and it looks like other. Than some. Some. Thanks. That's. It so really. Appreciate, your time today, remember. That the aim centers, is here, to provide technical, assistance on transition, and whatever. Other supports. You may need and we. Really appreciate that you were here today thank. You to Leslie for. Monitoring. The chat thank you to Cindy for your captioning, service I hope. Everybody has a great rest, of your day. Hi. This message is to Shirley, Shirley if you just send me an email at L O'Callahan, at Cass org, I can send you a certificate. I'm. Sorry Shirley I think I called you Shelly first. Day back after vacation I apologize, but, have a great day everyone, I. Think. You did call her Shirley, let's see I think you're good, fabulous. Okay, I'm going to end the recording now that's alright that's. Great thank you.